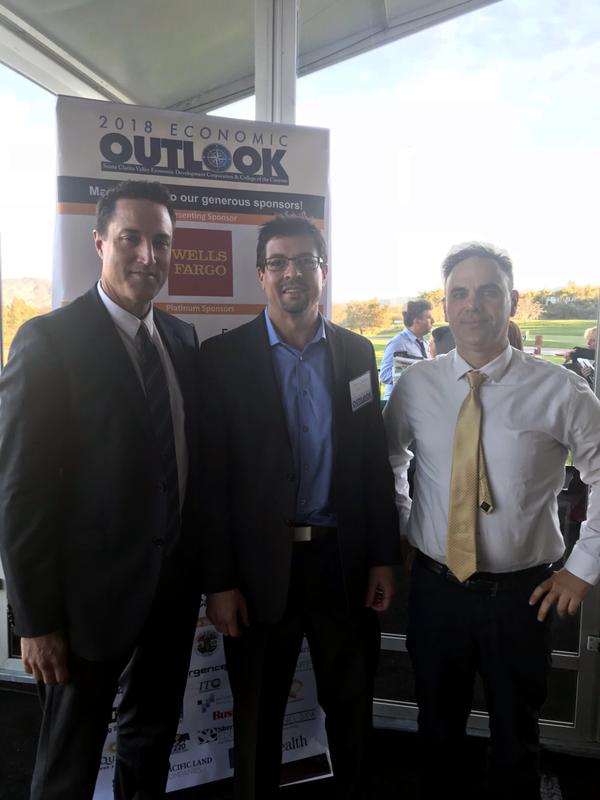 Each year the Santa Clarita Valley Economic Development Corporation puts on an economic forecast, which gathers together featured economics who give an overview of the local economy and look at national and international trends. We are a proud sponsor of the 2018 Economic Outlook. The Santa Clarita Economic Outlook on Thursday March 8, 2018. 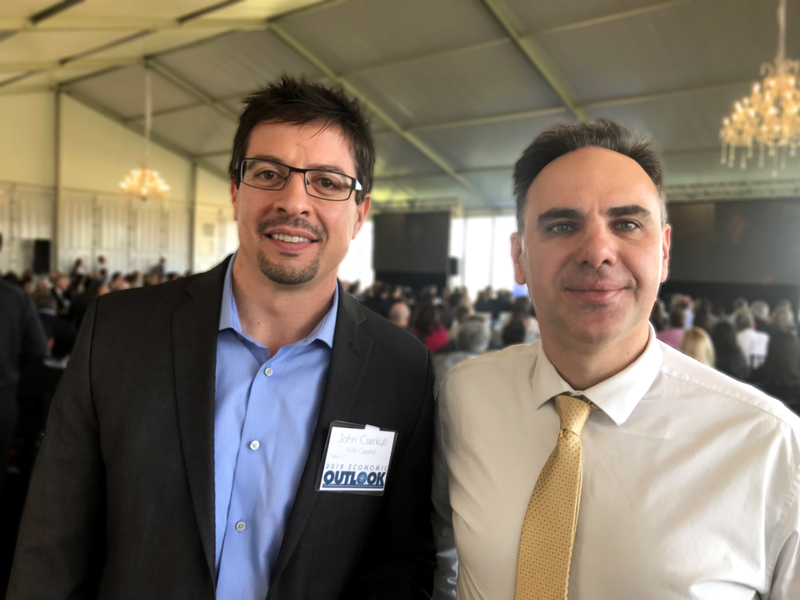 Executive Vice President John Cserkuti (left) and Vice President Steve Body (right) at the 2018 SCV Economic Outlook. The Santa Clarita Valley fosters a thriving residential and business community. The region is consistently ranked one of the safest areas to live in the United States. In 2016 and 2008 the Los Angeles Economic Development Corporation named the City of Santa Clarita the Most Business-Friendly City in Los Angeles County. Many industries including film and television, manufacturing, biomedical, tech and aerospace have made a home in the Santa Clarita Valley. The Santa Clarita Valley is one of the nine sites presented in Los Angeles County's bid to host Amazon's second headquarters. With its business-friendly reputation, access to a vast pool of talent and relative affordability the Santa Clarita Valley is poised for growth. Senior Associate Paul Bellgraph, Executive Vice President John Cserkuti and Vice President Steve Body (left to right). Affordable housing is a top challenge for future economic growth in Santa Clarita Valley, as it is throughout Los Angeles County. Workforce development is key to sustaining growth. Santa Clarita Valley is becoming known as "Hollywood North." Media and entertainment employment are on the rise. More than 4,300 residential units approved in Santa Clarita Valley as of March 2018.